"And how's yer wife, Pat?" "Sure, she do be awful sick." 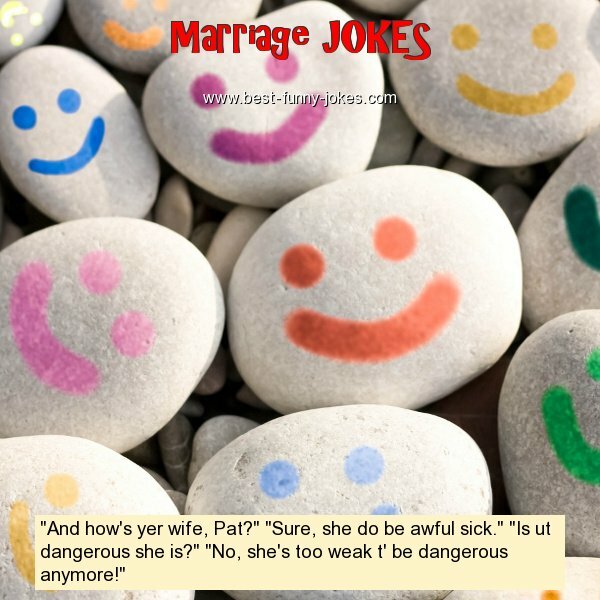 "Is ut dangerous she is?" "No, she's too weak t' be dangerous anymore!"